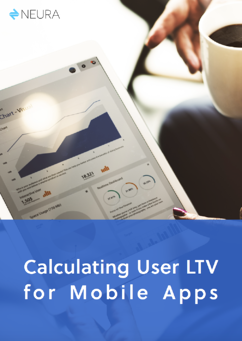 Are you calculating your app's User LTV incorrectly? It’s safe to say that one of the most common struggles of any mobile-first company is understanding the value of their customers. With this in mind, user LTV is not only one of the most powerful business KPIs, but also serves two more roles – a great tool to plan for future growth, and a constant reminder of the ever-growing importance of user loyalty and retention as critical success parameters. LTV is both an everyday tool and a pillar for any long-term growth strategy. Calculating LTV isn’t quite as simple as it seems. There are a number of ways to reach it, depending on app vertical, level of complexity, etc.